Kurt Arnold wasted no time starting his legal career. 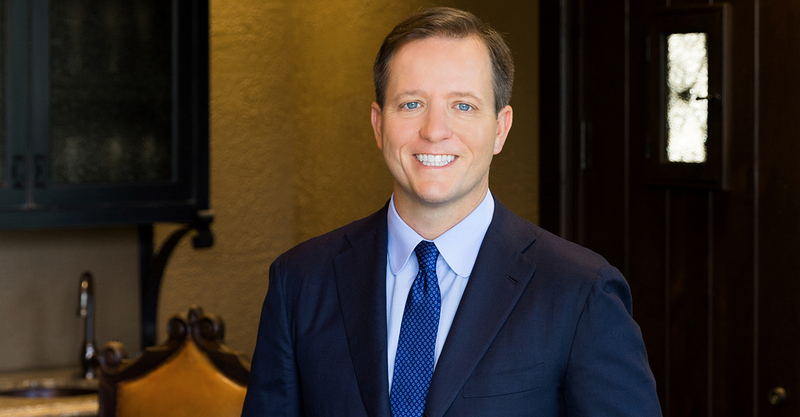 The renowned plaintiffs’ lawyer and Lawdragon 500 member earned his undergraduate degree at the University of Texas by age 19, and completed law school at the university three years later. By the age of 25, Arnold founded his own firm, Arnold & Itkin, with law partner Jason Itkin. Since opening his firm in 2004, Arnold has recovered billions of dollars for his clients, won record-setting verdicts, and established a national reputation for excellence. Lawdragon: Can you share a few things about your job that you find satisfying? What keeps you at it through many tough cases? Kurt Arnold: People usually find me when they have been put into a very bad situation through no fault of their own and they have nowhere else to turn. I love when my clients turn it all over to me and trust me to make it right. It’s both a big responsibility and a special honor. I have never liked bullies. Most of my clients have been bullied by the time they get to me. Very rarely do defendants in my cases do the right thing. I hear the word “no” a lot. No, they are not responsible; no, you cannot win; no, we won’t pay the appropriate amounts of money that your client deserves. The only way to get defendants to do the right thing is to make them. That means it’s my job to ensure that I aggressively push my client’s case to trial where they cannot be bullied any longer. When we win a verdict on behalf of a client, it is more than a monetary award guaranteeing our clients a secure future. Knowing a jury reviewed all the evidence, ruled in our favor and told the defendant you are wrong and we will make you do the right thing – it’s priceless. That’s justice. There is no better feeling than taking a jury verdict on behalf of your client. LD: Can you talk about some of your recent cases and some of the challenges and results? KA: We represented three widows who lost their husbands in the tragic sinking of the cargo ship El Faro in 2015. The defendants claimed protection under the antiquated Limited Liability Act of 1851. Essentially, El Faro’s owners sued the families of the 33 mariners lost on the ship, forcing them to prove an outdated legal standard just to earn the right to sue for the wrongful death of their loved ones. Had El Faro’s owners been able to convince a judge they were entitled to protection under this law, their liability would have been limited to about $15 million – not nearly enough to properly compensate the families. While the case was pending, we were outspoken about the outdated Limited Liability Act to continue to raise attention to this antiquated law. Earlier, while representing the victims of the Deepwater Horizon, we helped to get the House of Representatives to repeal the antiquated law; unfortunately, it was not voted on in the Senate. We will continue to fight for mariners’ families until this antiquated law is repealed. We fought the El Faro defendants every step of the way. We fought back all of defendants procedural legal hurdles, efforts to limited liability and obtained a substantial monetary settlement for our clients to ensure they are taken care of for life, as well as getting them answers they deserved. Due to the settlement being confidential, we cannot disclose the details. I was honored to have represented these women; they are clients I will never forget. LD: What led you to finish undergrad by 19? How did that happen? And what advice do you have for law students? KA: Hard work. I always knew I wanted to go to the University of Texas School of Law, so I was very focused on reaching my goals. I didn’t have a goal to graduate when I was 19 – it just worked out that way. In hindsight, I certainly wouldn’t have minded spending a little more time as an undergraduate in Austin, Texas. There are two things that are absolutely necessary to becoming a great lawyer. You must love what you do and you must work hard. If you hate your job, you will not be good at your job no matter how much you work. If you love your job, the hard work doesn’t seem all that hard. Accordingly, I encourage law students to try out all types of law. Don’t just set your sights on the law firm job that will pay the most money out of school. Try plaintiffs’ work, criminal law, corporate law, wills and estates, or whatever it is that interests you. I encourage all the law students I speak with to clerk for a judge, work in a small firm, try the district attorneys’ office and to get a variety of different exposures. I didn’t have any lawyers in my family growing up so I found my way to what I really love by trying lots of different things. LD: Did you have a mentor that was particularly important in your career? KA: Robert Hirschhorn. Robert is my jury consultant who I began working with shortly after starting Arnold & Itkin. He understands juries like no one else. Robert taught me two things early on. Believe in your case and be yourself. Everyone has different styles and you should be you. I see a lot of lawyers try to imitate people they are not or represent clients they don’t believe in. Juries are smart and see right through it. Be yourself and believe in your case. I am grateful to have Robert as a mentor and close friend. LD: Why did you want to start your own firm as opposed to working for a larger firm? KA: I worked as a paralegal before law school at a very large, well respected firm and knew that was probably not the place for me. I tried various firms of various sizes during law school and ultimately started my career at a well-respected boutique litigation firm. I worked there for approximately one year, but decided I wanted to have my own firm and have my own cases. My law partner, Jason Itkin, was at the same firm. We ultimately decided we wanted to focus on plaintiffs’ cases and have the liberty of taking only the cases we believed in. We like to bet on justice, even if the odds are stacked against us, and that’s a luxury we wouldn’t enjoy if were working for another firm. LD: What do you do for fun, and what are your public interest activities? KA: I believe strongly in working hard and playing hard. My wife and I love traveling all over the world and generally try to find beautiful beaches and activities in the water. My wife, Tara, and I have a young son and spending quality time with him is a big priority. And, of course, watching the Longhorns during football season is a must. Regarding public interest activities, as a firm, we sponsor service and charity activities throughout the year. It’s important to me that Arnold & Itkin fosters a work culture of giving. Our lawyers and staff have been involved in the Respect Contest for 5th graders, have volunteered their time for free legal advice to veterans and others, supported toy drives, and have provided significant donations of time and money to The Monarch School and Institute along with other similar organizations. Recently, we have started the Arnold & Itkin Foundation to help us focus our outreach to help families that we have seen in similar situations to clients in our practice. For example, we have many clients we serve that have suffered catastrophic industrial accidents, and the most heartbreaking cases are burn survivors. We recently started significant scholarships for families of burn victims. Personally, my wife and I are active members of St. Paul’s Methodist Church and big supporters of the University of Texas, among other organizations.